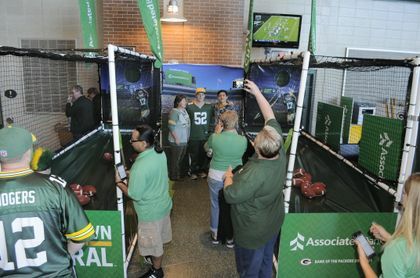 Associated Bank, the largest bank headquartered in Wisconsin and bank of the Packers since 1919, has kicked off a unique game-day experience for fans as part of its Touchdown Central fan challenge with Packers star receivers Jordy Nelson, Randall Cobb and Davante Adams. 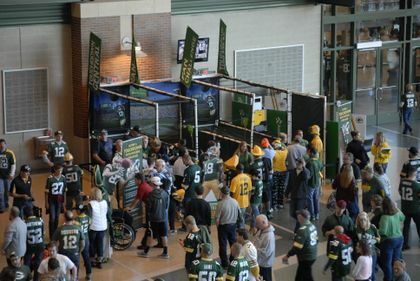 Fans are invited to visit the Associated Bank interactive zones in both the Fan Walkway and Atrium (only ticketed guests can participate at the Atrium location) at Lambeau Field on all game days. 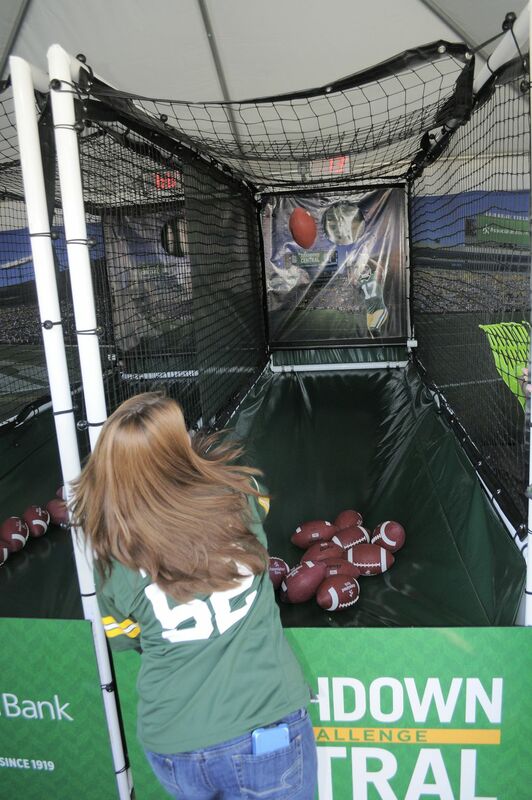 At each fan challenge area, fans can throw a pass to a Jordy Nelson and Randall Cobb simulation and celebrate by striking their own unique touchdown celebration pose. During their touchdown celebration, a photo will be taken with an overlay that includes all three players, and emailed to the fan with social media sharing buttons for immediate posting. All fans completing the fan challenge at Lambeau Field will receive a token of appreciation. Fans who open an Associated Packers Checking account additionally receive instant benefits and giveaways. 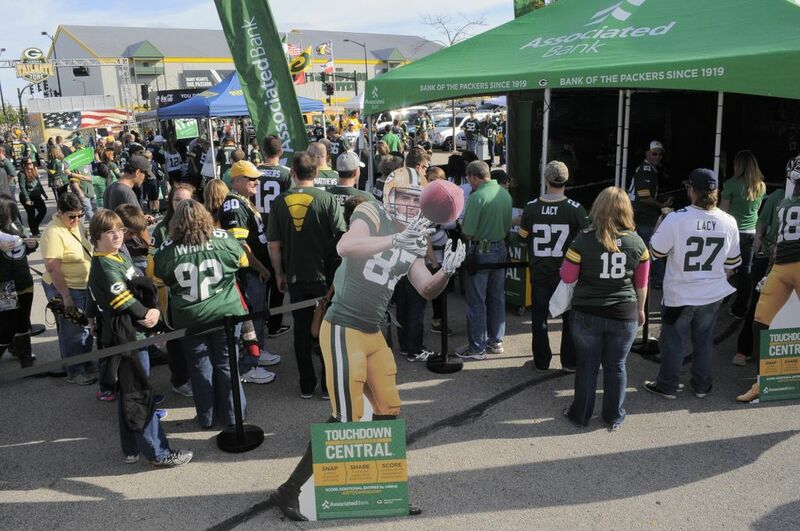 Fans can also participate in the Touchdown Central sweepstakes online by visiting www.ABTDCentral.com, uploading their touchdown celebration photo, choosing an overlay with star receivers Nelson, Cobb and Davante, and posting to social media with the hashtag #ABTDCentral. The site will be updated each week with new images. The more celebration photos fans post, the more chances they have of winning an autographed, home-game jersey. Associated Bank will donate up to $20,000 to a local nonprofit organization in honor of the player that receives the most downloads. 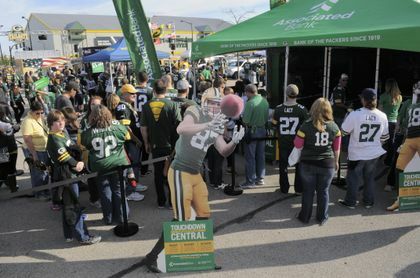 Fans are encouraged to engage with Associated’s Touchdown Central all season, as additional partnership touchpoints and promotions will continue to be announced. Visit www.ABTDCentral.com for the official rules and photo download. Also view the Tundra Vision promotion on YouTube.